The o2 Group just launched the newly designed Golden History Museums (GHM) website, www.goldenhistory.org! The GHM staff came to us with a new logo/branding set, hoping we could design a website that was as fresh and engaging as the new branding. Golden History Museums consists of 3 locations, Astor House Museum, Clear Creek History Park and Golden History Center. They wanted to show that each location is unique, yet also unified as a part of Golden’s history. Our designers went to work to create a site that would make people want to explore all of the history that the Golden Museums have to offer. 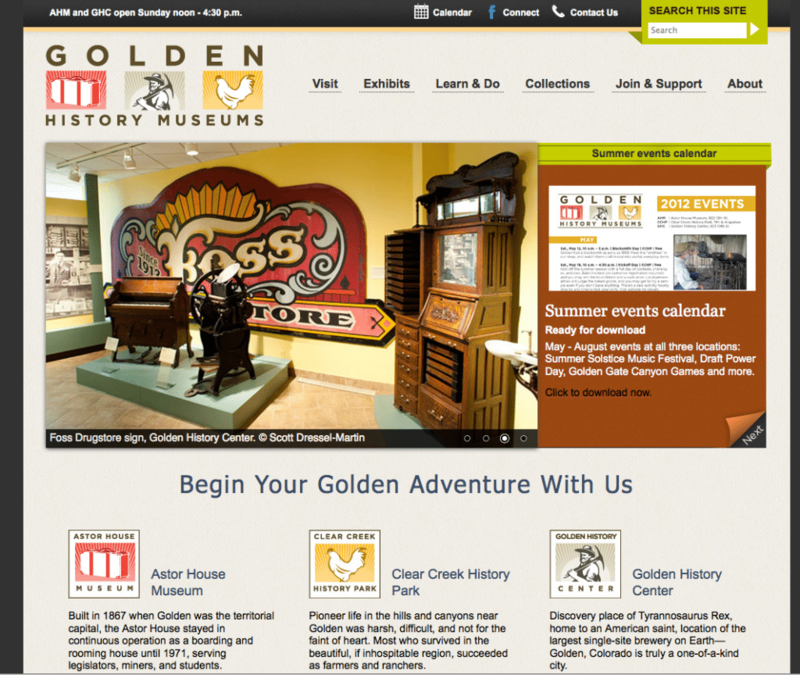 So go explore the new website and be sure to check out the Golden History Museum sites next time you are in Golden!